Hi everyone, I am currently trying to survive the heat wave (no joke- feels much like mid summer already). We are visiting Palm Springs for a couple days , trying to relax and get away. I am realizing that girl can never have too many sunnies and bikinis. Those are really going to come in handy to survive the upcoming summer days. 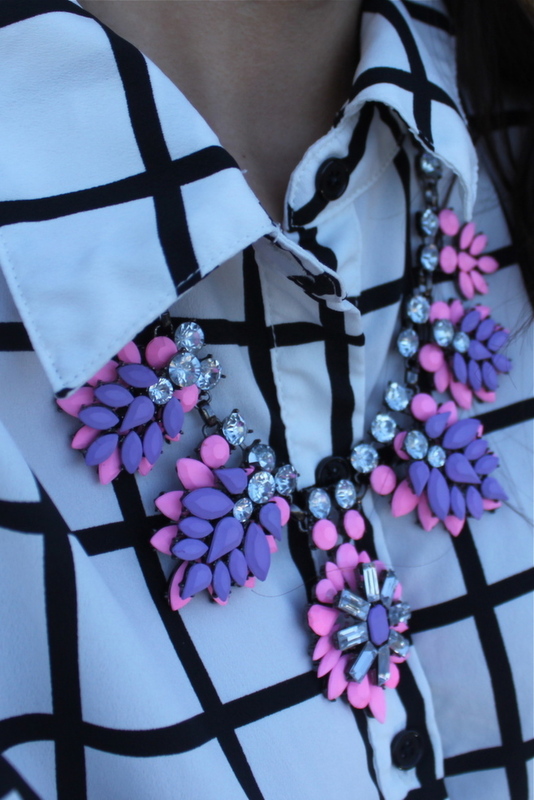 Today, I am sharing an outfit featuring my new favorite accessory- this stunning necklace. Can we please take a second to talk about how gorgeous this necklace is?! I fell in love instantly and knew I would wear it constantly this summer. I love the pastel colors and all the sparkle! It is perfect to wear with a simple Tee or fun summer dress ( yes, I am planning endless outfits with it :)). I love a great accessory because it makes getting dressed extra special- don't you think?! Obsessed with your statement necklace and heels. You look gorgeous! Love your outfit! 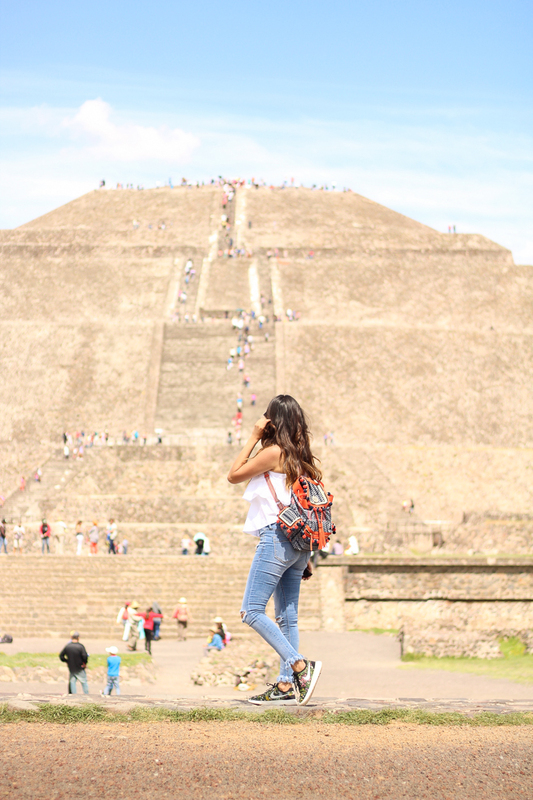 De donde eres? Hablas español?